"I turned 65, I lost my job and my wife died. 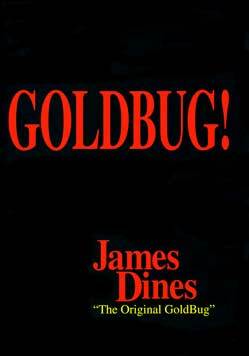 I took my retirement funds and after several false starts, subscribed to The Dines Letter. You enabled me to take roughly $125,000 and turn it into $1 million after taxes." "Way back in 2004 - 2005, you were the only person who stuck his neck out far enough to correctly predict 'The Coming Real-Estate Crash of 2007.' For those of us who want to learn to fish and not just be fed dinner, please continue to write as much as possible in every issue of The Dines Letter. Thank you." See how this strategy could work for you and provide exceptional returns on your portfolio. We recommend selling percentages of your investment all the way up to lock in profits! 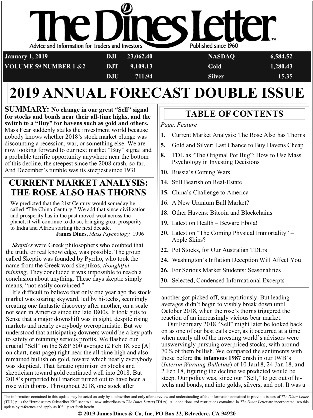 Be on board for our next Super Major Bull Market call by subscribing to The Dines Letter and Interim Warning Bulletin now by clicking here! 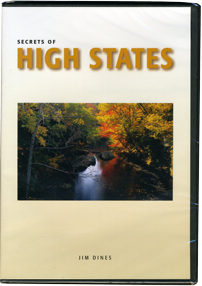 Enjoy James Dines' beautiful photography in this new DVD version (Blu-Ray and audio versions included) of Secrets of High States and listen to him as he divulges the life-changing principles and benefits of living in the High States of Life.